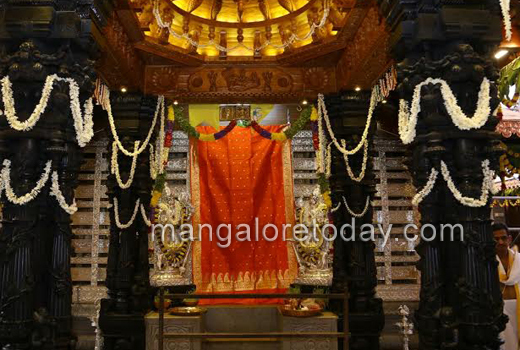 Karkala, May 02, 2016: The Punar Pratishta ceremony of the famous Shree Venkataramana Temple at Karkala which is famous as ’Padutirupathi’ was held on May 1, Sunday under the guidance of Sri Samyamindra Theertha Swamiji, the Pontiff of Kashi Mutt, in the presence of thousands of devotees. 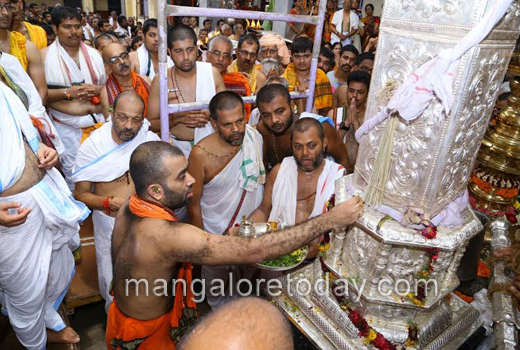 Various rituals including Punyahavachana, Shathakalashabhisheka , Prasanna Pooja etc were performed. 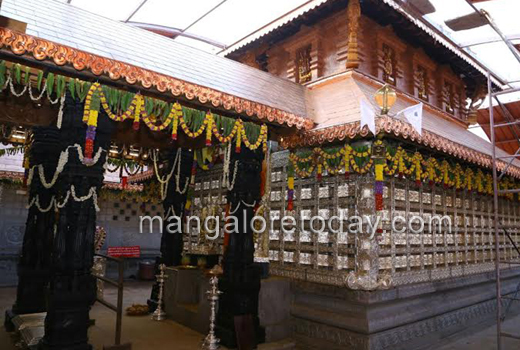 The idols were reconsecrated in the new sanctorum followed by several poojas and rituals. Over 350 vedic scholars were part of the ceremony . 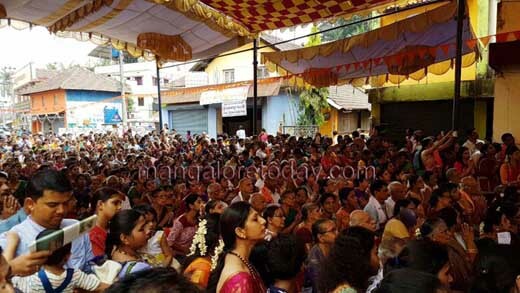 After the rituals, over 40,000 people partook in the Anna santarpane held at the Annapoorna dining hall of the temple. K Jayaram Prabhu, Managing Trustee of the Temple, K Ganesh Kamath, Trustee, K Ravindra Puranik, Chief Priest and several others were present.